So glad you found something that works so well for you! And also happy that you shared it so that others can see that many people can benefit from medical marijuana-that it's not just "stoners" looking for an excuse to get high. First off, thank you for sharing. It took courage considering so many people have a negative view on marijuana. Oh you are not alone when it comes to being on the crazy train during your time of the month. It is exhausting and overwhelming not being able to control yourself. My husband wants me to do the same thing as you, lol. The past few months I've actually calmed down but I think I'll be going your route, or attempt to, if I go crazy again. Good for you for doing what works. Who cares what anyone else thinks. It's your life. Marijuana has helped me with so many health issues. When the medical field failed me, I found marijuana and it helped me survive. It's crazy that people put shame around a plant. Thank you for sharing!! Dear Lindsay, I do not think that you are crazy at all. 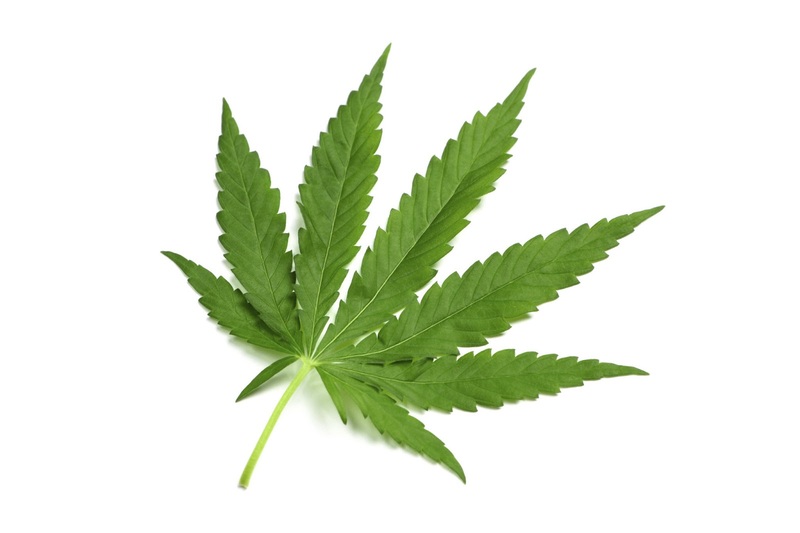 There are numerous studies on the benefits of marijuana for various conditions. I am from Australia, the State of Victoria and our Government, earlier this year, passed legislation enabling the use of marijuana for medical purposes. Also, something for you to consider is to get a thyroid panel check (TSH, T3, T4 and thyroid antibodies). A lot of the symptoms that you describe can also be attributed to a low functioning thyroid. Wishing you all the best for a healthy and happy you. Good for you! I am glad it is helping. Would you be willing to talk privately about the type/way you're taking it and how it impacts your diabetes? My A1C is good right now, but I'd be interested in learning more about this. Think it works for T2s/pre diabetics also? This is so interesting to me! I deal with a lot of the similar monthly issues you mentioned, never even occurred to me to look into medical marijuna! I have so many questions- do you feel stoned? Or is it a different strain so it just helps with the symptoms? Do you have to smoke it? How often do you use it? Wow- thanks so much for sharing! wow! this is absolutely fascinating to read! i love that you are sharing your experience. i am also one who is trying my hardest to live as naturally as possible [in a world that sometimes seems dead set against it! ], and i am constantly baffled at the amount of horrible things that are legal and prescribed and even pushed by doctors. we already use so so many herbs for medicinal purposes, why not this one? it's awesome to hear that you finally found something to ease your miserable symptoms without having to pop xanax and other pills! For those who asked: I prefer strains that are higher on the CBD side (less psychoactive effects) This is a great article for those wanting more info: https://www.leafly.com/news/cannabis-101/whats-the-deal-with-these-high-cbd-strains -- The video in this link is just amazing as well! Also, everyone is so different so my best advice would be to do some research to determine which strains and form would be best for you and your lifestyle. I hardly ever comment but wanted you give you mad props for sharing something potentially controversial! I love when the holistic route beats the pants off drugs with the side effect of suicide. I smoked weed in my younger years and lost interest in it a long time ago.. So when a few of my friends highly (no pun intended) suggested I try medical Marijuana, I was very hesitant. Having a history with narcotics and not wanting to take pills, I was in a run as to how to help my health issues. I live in WA state, where it is legal now and there are more retail stores opening up all the time. So, I decided to give it a go. I had to do my own research, because I am an active full time mother and wife, and couldn't be all stoned out either. That is when I discovered CBD. I can smoke a high cbd flower or take a high mg cbd capsule and it has helped so much! We have a local "green" farmers market where I can get just about anything I need at a good cost. It is open to the public and the farmer vendors are so nice and helpful. I've now learned how to cook trim/flower into coconut oil and make my own bedtime edibles. I have better managed pain and sleep in my life and I am so much happier over all. Thank you for sharing your story! Definitely a wise choice over benzodiazepines. Then I'd be worried! Thank you for sharing. I hope your readers will put as much thought into as you have. Dude, I'm not a partaker (being the biggest stoner EVER in high school sorta burned me out), but I'm all for people using it to medicate. And clearly, the rest of our state agrees, since it's legal now. There's a pot shop on every corner. It's like when Starbucks first opened. Ha! I think it's great that you went for it. Prescription pills are no joke. My husband would probably like me to smoke to mellow me out. LOL Good for you, girly. Love this post! Happy you found something that makes you feel so much better! This was the first time I've ever read something where I had an "a-ha" moment about medical marijuana. I have definitely had concerns about increasing marijuana use on the whole, due to its legal availability for medical reasons - and I still definitely have some questions about how to keep it controlled - but thank you for writing this, because it has really made me think and consider the positive effects it can have (especially by reducing prescription meds!). I'm so happy for the relief you've found. Also, because I'm also all about finding holistic solutions, regarding your PMDD, are there any other long-term ways to balance your hormones? I know there's a homeopath near me that specializes in hormone imbalances. I was just wondering if that would a more long-term solution, or if you feel like the marijuana is long-term (or if it could possibly just be masking your symptoms for now)? Have you noticed anything addictive about it? Or do you only feel inclined to use it when you are about to have your period/symptoms? Sorry for my questions. I'm so curious now and seriously, you've taught me something! To the commenter above: I am so happy to hear my post helped changed your perspective on medical marijuana! That is exactly why I felt so compelled to share. To answer your questions: At this time I do feel like medical marijuana is a wonderful 100% natural long term solution for me. It has not only helped with my PMDD but my overall A1C ( a very important test for my diabetes that reflects my average level of blood sugars over the past 3 months and the lower the number the better) is the best it's been since I was pregnant with my boys. And a good A1C means a longer healthier life for me so I can't complain about that. Thank you for sharing, good for you!! It will be so funny in the future when we look back at all the stigma that was attached to Marijuana.